Will Google launch Chromecast Ultra with 4K support on October 4? 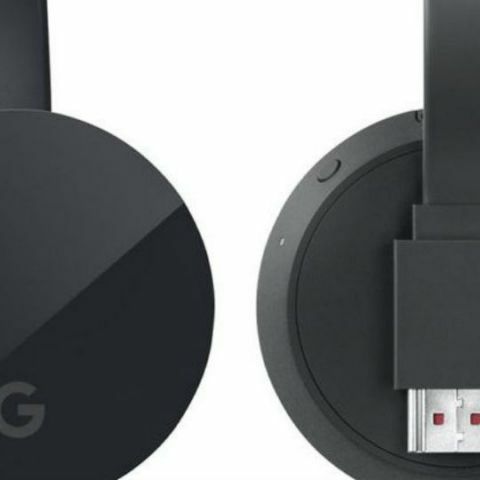 Images have leaked online, which show what the upcoming 4K capable Chromecast could look like. If information circulating the Internet is to be believed, then Google may introduce a 4K-capable Chromecast on October 4. The device is expected to be priced at $69 (Rs. 4,600 approx.) Evan Blass, of @evleaks, recently showed off some images of the 4K-capable Chromecast. It looks the device will have the same form factor as the second generation Chromecast, but with a redesigned logo. It may also be called the Chromecast Ultra. 4K TVs aren’t affordable yet, but content providers like YouTube, Netflix and others have already introduced 4K content to the audience. The Chromecast, an affordable streaming device, can be a great option for viewing 4K content. Prices are expected to be higher this time, as the first and second generation Chromecast modules were launched at $35, or Rs. 3,399 in India, which is quite affordable. Google is expected to launch a bunch of devices on October 4, and we will be there to bring you all the updates from Google's hardware festival. The list of products expected to launch include the Pixel Phones (rebranded from the revered Nexus lineup), a Nexus tablet, and something to do with Chromebooks, along with the Chromecast Ultra. There has also been rumours of Google Andromeda, an operating system that brings together Android and Chrome OS, which can be a pivotal announcement of the day. Yesterday, Google celebrated its 18th birthday, and we experienced the Google for India event, where the company announced a bunch of initiatives for the Indian audience, including Google Assistant in Hindi, YouTube Go, and more.